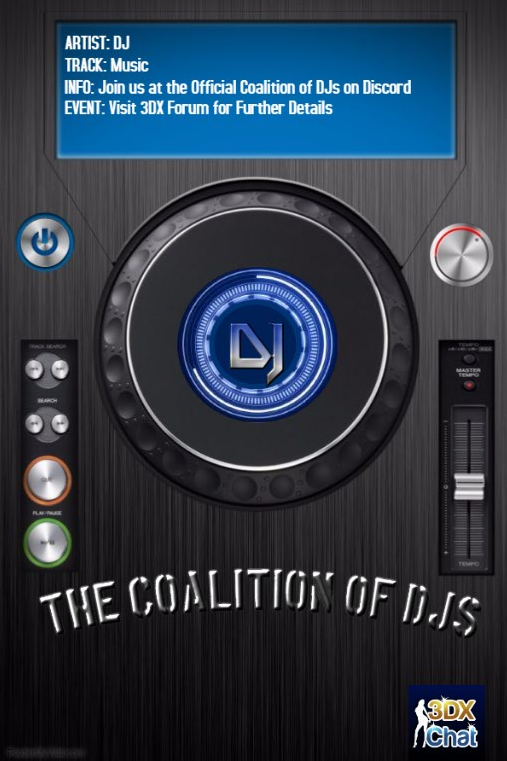 If you're viewing this post it means you are at least curious about what it is the Official Coalition of DJs is aiming to accomplish. Well, allow me to inform you. What made you ultimately decide to come up with the idea? I was initially part of a conflict involving two well known groups on 3dx, and I didn't like how DJs were being treated, nor did I like the fact that people that were once friends had turned into bitter enemies. 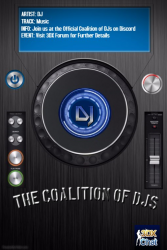 I created the Official Coalition of DJs and made it available to everyone, not just DJs. What is the overall goal of the Official Coalition of DJs? The overall goal for the Official Coalition of DJs is to provide a "relaxed" neutral environment for everyone to talk, be productive, and have a chance to be seen in a different light. I would also like to eventually create a dedicated team of "Coalition DJs," as well as be able to plan our own events. However, that probably won't be for some time. 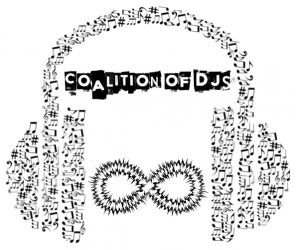 Why should I join the Official Coalition of DJs? Well, for one you'd have the support of the whole group, whether you're a DJ or just enthusiastic about music. This means that if you have a question, or need help with something, we will always try to lend a hand. What if I'm not a DJ? You are still welcome to join as I've stated above. This group is open to everyone that has a willingness to try. This group, however big it may get in the future, is not looking to try and manage any other groups, only to allow people to talk to each other in a more positive light, and to direct people to any events that may be going on in 3dx. Essentially, this group is a big collaboration of a bunch of different groups. That being said, some of the groups may not work as well with other groups they conflict with, but I ask everyone to set aside 3dx group associations as long as you're in the official discord channels. I have more questions about this group. Who do I contact about it? Great idea Trena! Good luck !